I never thought I would ever accomplish 15 years of teaching (so fast) just because it always seemed so far away. But here I am and now I wonder...where did all the time go? Today I concluded another year of teaching and will spend the next two days in Inservice and then plan on enjoying the summer. We took ninety (90) 7th graders on a fieldtrip Friday and we had a great time! This park houses only endangered species. We were able to pet giraffes, tortoises, and bunnies and saw some beautiful, but lazy white tigers. We were able to feed these cute femurs (monkeys). They climbed all over us like we didn't even exist. Their hands and feet felt rubbery and they weren't shy about getting into our bags. This little guy chilled on top of his house. He was too cute how he was sitting. They aren't too cute close-up, are they?! We were also able to pet the kangaroos. Here is one with her Joey. This giraffe was quite friendly, licking the palm of our hands. Seeing this animal up close was totally amazing. She even had beautiful long eyelashes that were real! The kids had a good time and...we survived. One of my team members is expecting her first child (a son) and another team member organized a layout swap for her. Having to design a layout for the baby's first month, this is what I came up with and was pretty pleased. I love random-stamping especially when I do not have a background paper that will work for the colors or theme. You work with the largest image first, stamping it in triangles (you can especially see this with the large stars), and then use the smaller images to fill in the spaces. When you are cutting up the paper, it is best to really fill in the blank areas without overdoing it. Here I used the "A Twinkle", "Sweet Baby", and "Just the Ticket" stamp sets for the various images and used my favorite E-size alphabet, "Posterboard" for the title. I hope she likes it! I would give anything to be at Disneyland or Disney World right now but in the meantime...I'll have fun preserving some memories from a previous visit. This is our new Zippidee paper pack, fitting for many occasions besides Disney. I used a Level 2 Paper Pack and the Level 2 Stickease to create these 2 layouts. I will post pictures of the layouts, with photos, in a future post. If you would like to make these layouts to preserve your fun memories, contact me today! Welcome to my scrap space (and please ignore this ugly carpet - we are renting)! This space is located in our basement and behind me, from where I took this picture, is a bedroom area with a queen bed, t.v., sofa and coffee table. (I can take a break when I've worked too hard.) I love having my own space and do not have worry about the mess, although I tend to clean up pretty well after my productivity (most of the time). I have room for at least 6 people to have over for a workshop. This is my creative space. The drawers are organized but not exciting enough to take a photo of them to share. I love my wall organizer! I love my Ink Tower! Here is a closer view of the items on the right wall. In the top left plastic drawers I keep order forms, labels, etc. In the cube drawers below that are my stamp sets - not all of them (the rest are in the My Acrylix boxes) on the top left shelf. On the bottom left shelf is Coluzzle supplies, E-size alphabets, and some background &texture paper I've pulled out of my paper packs. On the top left shelf, you can see my My Acrylix Organizers and my How-to Programs. The bottom right-hand shelf holds SOME of my albums. I have lots of fun little doo-dads on the top of the shelves! (Sharpies are in the small plastic drawers, of course! I LOVE Sharpies! And...here's my printer and Cricut work station. I've enjoyed sharing my scrap space with you! Thanks for visiting! I wasn't able to be around my Mom for Mother's Day but I enjoyed sending her some flowers to enjoy over the weekend. I also made this Clear Card for her using the NEW stamp set, "In the Month of May". I love the sentiments and stamp sets on these monthly stamp sets. I used the Glitz™ Stardust Glitter Glue - one of our newest products - highlighting the flower and leaves. This is a definite must-have! Here's what the inside of the card looks like, minus my personal message. You just want to cover the backside of your focal point so the Clear Card works correctly. Some might think that's my nickname since I am totally addicted, but I am actually talking about the stinkin' cute, NEW, stamp set called "Ms. Scrapbook". I LOVE all the sayings that come with this scrapper girl and cannot wait to use this stamp set on some other fun creations! I incorporated the Cherry-O paper pack (can you tell I like it?) as well as our Hearts Dimensional Elements with some bling (Clear Sparkles), of course! This stamp set is amongst my favorites! This month's Stamp of the Month, "Cherish the Moment", is suitable for various occasions and perfect for any card or layout. 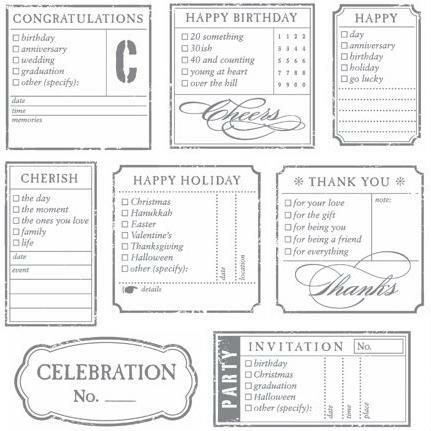 You get 8 stamps in this set which creates greate focal points for your projects. 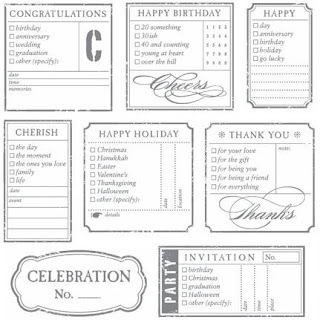 You can purchase the stamp set outright for $22.95, earn it at a discount with a purchase, or get it for FREE! Click here for additional details and to see some beautiful artwork made by Close To My Heart. Here, I incorporated it as a Thank You card. 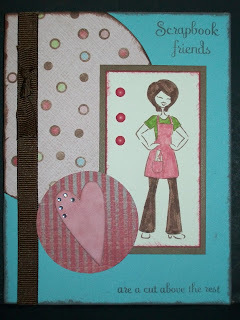 Visit the slideshow on my website to see how versatile this stamp set truly is. I and several Consultants created the cards highlighting the Cherry-O paper pack and various coordinating embellishments. 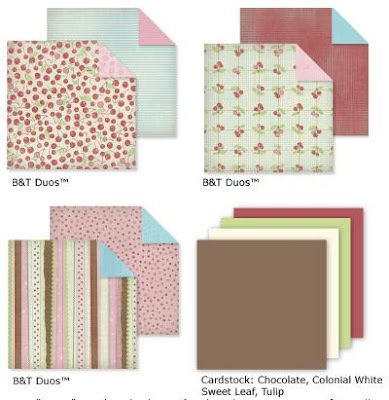 This Cherry-O paper pack is going to be a big seller and is even more pretty in person! Click here to view the NEW Cherry-O products! I have always been a fan of the Lakers, although I usually meet several people (and have friends) who despise them. But that's ok...I can talk trash with the best of them! Last night my husband took me to Game 6 of the NBA Playoff Games - Los Angeles Lakers vs. Oklahoma City Thunder! It was an exciting game and a great environment to be in especially since the Lakers closed the series with a last-second tip-in by Gasol, winning 95-94. I was surrounded by Thunder fans but still cheered the Lakers on! They will begin the next round of the playoffs tomorrow against the Utah Jazz! Warming up before the second half. The 3-point shot attempt by the Thunder, at the end of the game, for the win! It came close but didn't go in! GOOOOO LAKERS! The Summer Idea Book is Here! How stinkin' cute is this cover?! The NEW Cherry-O paper pack compliments this beautiful little girl, doesn't it?! You'll not only love ALL the new paper packs and embellishments contained in this Summer Idea Book, you will also love all of the beautiful artwork showcased throughout! You can access a link to an online version of the Idea Book by clicking here but it's just not the same as seeing it in person.